During the First World War the rugby community certainly played its part, with many players serving in the Armed Forces with the inevitable casualties among them. This of course wasn’t limited to British players, and international teams from across the Commonwealth as well as France and the USA were affected. Into Touch presents brief biographies of all 135 of these men, split by country; covering Australia, the British Isles, England, France, Ireland, New Zealand, Scotland, South Africa, the USA, and Wales. The only criteria for inclusion is that the man was capped at least once for his country. Each player has a biography ranging from one to three pages in length. Biographies include details of each man’s personal and military life, including information about when, where, and how he died and drawing on obituaries, letters and personal accounts where available. Naturally a summary of his rugby career is included, with details of international caps won. Illustrations are mainly limited to a picture of each man to accompany his biography, and some team shots, but pictures have been tracked down for every single man., quite an accomplishment. A great deal of effort must have gone into compiling the biographies, and as a reference work Into Touch brings together many interesting and disparate stories. However with no introduction and no context given, it feels like something is lacking. The rugby communities in each country undeniably played a role in the war, and a wider examination of how each responded, and the impact this had, would have made this a more rounded book. Looking at the list of casualties, for example, shows that whilst most of the British players who died were officers, the New Zealand casualties were entirely from the ranks. Can this perhaps tell us something about the social standing of the game in the different countries? 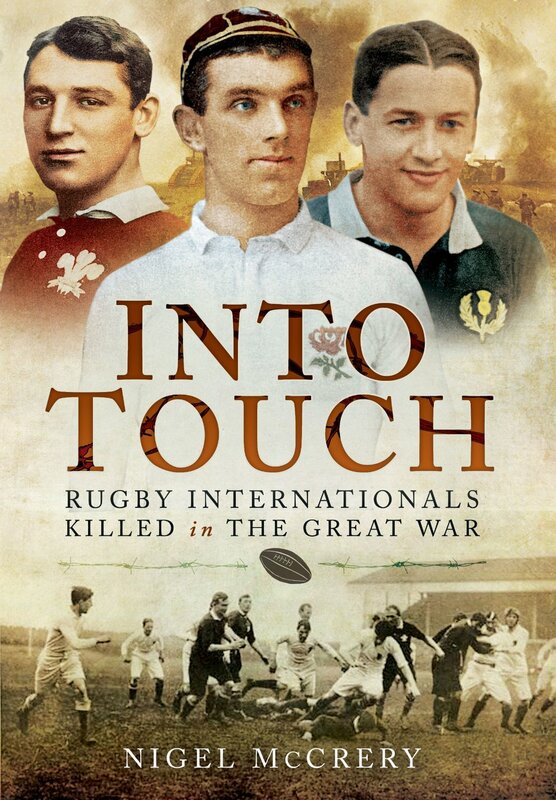 As a reference work the book will be of interest to many who are fans of the game or are interested in rugby and the First World War, but it does feel like a missed opportunity to really examine the international context of the contribution of rugby players in the war. As the writer i agree with most of this. The trouble is i was only allowed a certain amount of words. Yes would love to write a book on each of the countries involved with so much more about them the game and their contribution. However finding a publisher to do this all but impossible.